Right, here’s a list of 10 11 infographics* (in no particular order) that have caught my attention for one reason or another, which I’ve put together to help kick off a bit of discussion about how we can use them at work. Click on the image to get a bigger version. Leave suggestions of others in the comments. *I’ve been fairly liberal in my definition of an infographic. Generally a picture that depicts some sort of data. 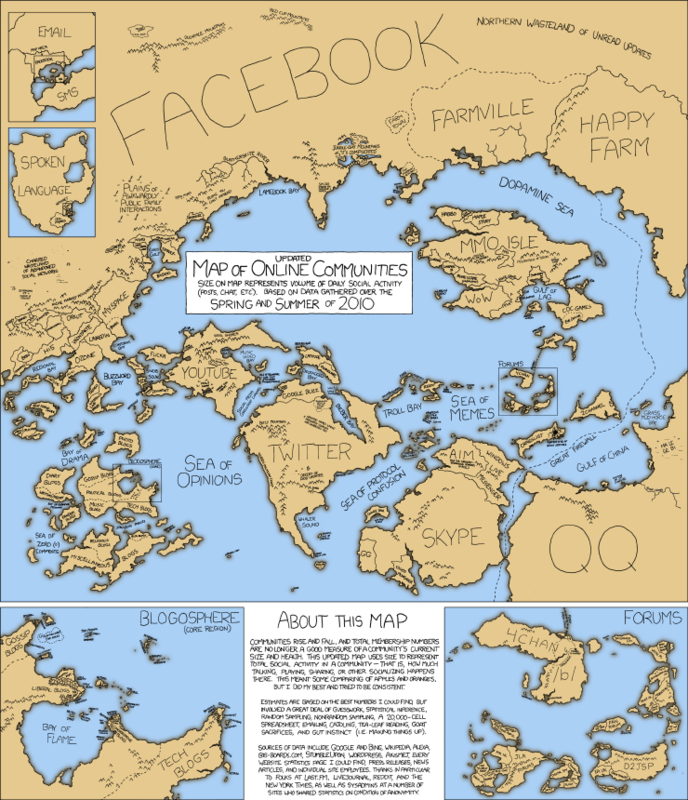 This infographic compares the relative sizes of all the various social media sites, based on their user size and influence. By using a geographic context “Sea of Opinions” “Gulf of China” and “Plains of awkwardly public family interactions” the author is able to convey opinion alongside facts. By comparing things like spoken language, email and SMS it also gives a very effective idea of the bigness of social media. Also goes to show that an effective infographic can be a simple line drawing. XKCD also did a radiation chart where you can compare the dose of radiation you get from standing next Fukushima nuclear plant to having a chest X-ray. There are lots and lots of vertical skyscraper infographics – they tend to tell a story in the style of a timeline which you scroll through vertically, which makes sense as most web users have the ability to scroll up and down rather than side to side. They usually contain a narrative story illustrated with various facts and figures. This one from online schools charts the history of the online news site Digg. See also the history of Rick Rolling which includes the factoid that Pete Waterman only earned $15 in royalties from 150 million views of “Never gonna give you up”. 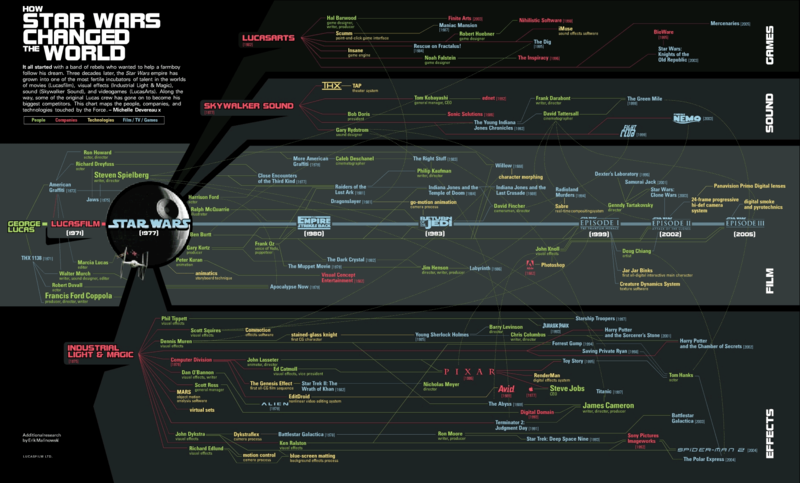 This is a big and hugely complicated graphic which manages to convey a lot of information without looking overly messy. By tradition most internet users tend to skim read rather than digest every bit of information you give them, so this design combines headline facts with symmetry to provide an easy way to compare and contrast the ideological differences between left and right. Lots more infographics available at Information is Beautiful or buy the book . An animated infographic from Greenpeace, which allows you to explore a perfect energy efficient town. Also check out their Rainbow Warrior website which features 3d graphics that wouldn’t look out of place on the bridge of the starship enterprise. 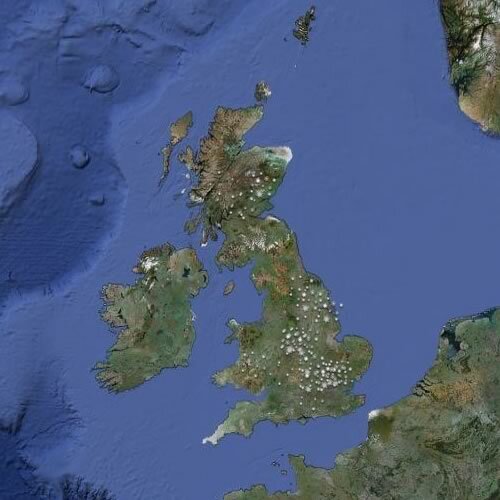 #UKsnow was a clever twitter / google maps mashup which generated an interactive map using location-tagged tweets about snow and it’s intensity. Suffered from accuracy issues and in some way more interesting about where twitter users are clustered who find snow a novelty. Also check our Ushahidi for SMS based crowdmaps about more serious issues. 6. How big are things? An oldie but a goldie. How Big Are things is the original site that allows you to compare the size of a 747 to a blue whale, or a neutron star to central Manhattan. Has spawned many copies that use the same idea. Visualising very large numbers often poses a challenge. 87 billion dollars is such a vast number that it’s difficult to comprehend. Honourable mention: any site that compares something to the size of Wales / Belgium. Used a lot by (lazy) bloggers analysing speeches, this infographic site generates graphics that size words by frequency given a piece of text. Proves you exist so therefore you don't. Infographics aren’t anything new, they’ve been around since Da Vinci started doodling illustrative ideas for aeroplanes in his notebooks. In 1977 The Babel Fish (and other) graphics from the Hitch-hikers guide to the galaxy predicted a futuristic computerised device which contained almost every bit of information you could possibly imagine wanting to know. The original hand drawn faux computer graphics were created by Rod Lord. Can bankers get any worse?